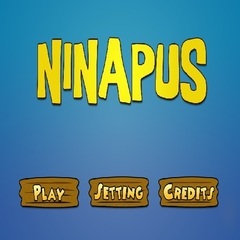 The game will consist of a main menu, level select menu, settings menu, victory and pause menu. When the game starts, the payer will begin at the main menu, where he can select either to go to the level select menu, or settings menu. 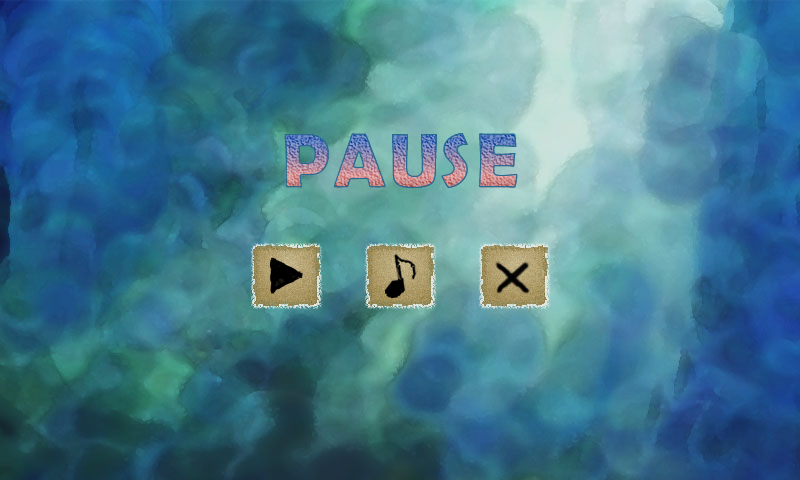 The pause menu will be displayed during gameplay mode when the player taps the pause button located in the top left corner of the gamescreen. The menu will appear in the middle of the screen with the game screen dimmed out in the background. 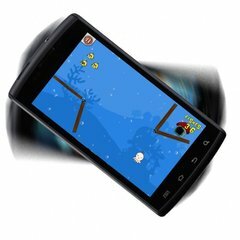 There will be options for the player to reset, continue or quit. The user will tap his or her selection. The victory menu will appear once the player beats a level that allows the player to quit, or go to the next level. Very similar to the pause menu, the victory menu will appear in the middle of the screen and he or she will tap to make a selection. The level select menu will be divided up into three worlds. 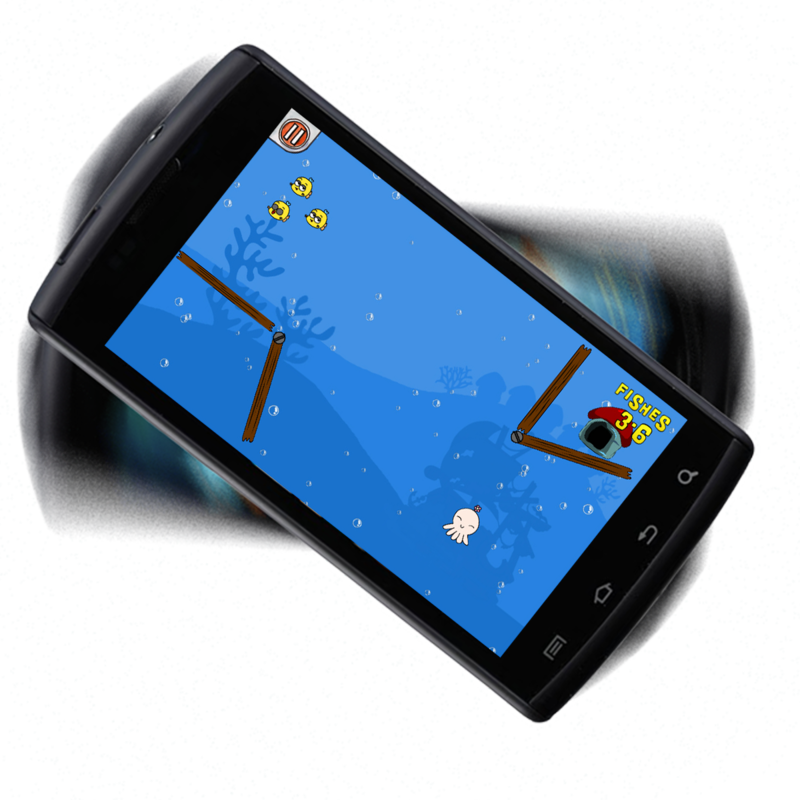 5 levels will be displayed on each world and the user will tap a level to begin playing it. To switch in between worlds, the player will swipe left or right, depending on the target world. We need add a nice frame to each level and implement locks for levels that haven't been unlocked yet. 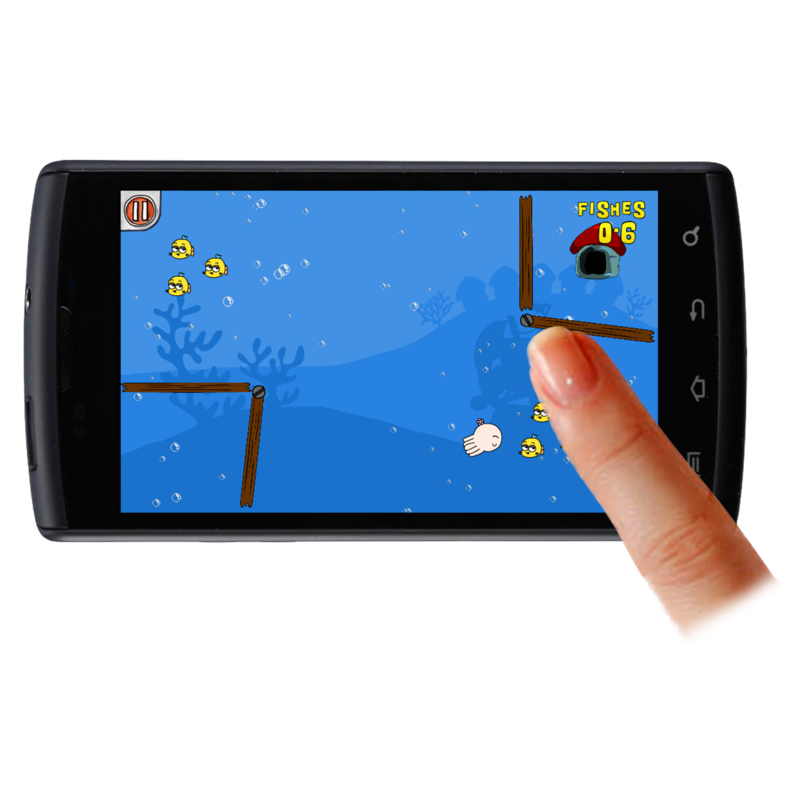 User interface during gameplay consists of a small menu button in the corner of the screen as well as a small portion of the screen reserved for telling the player how many fishes he or she has caught and currently is holding. User interface will need to be kept as compact as possible in order to reserve screen area for the game. 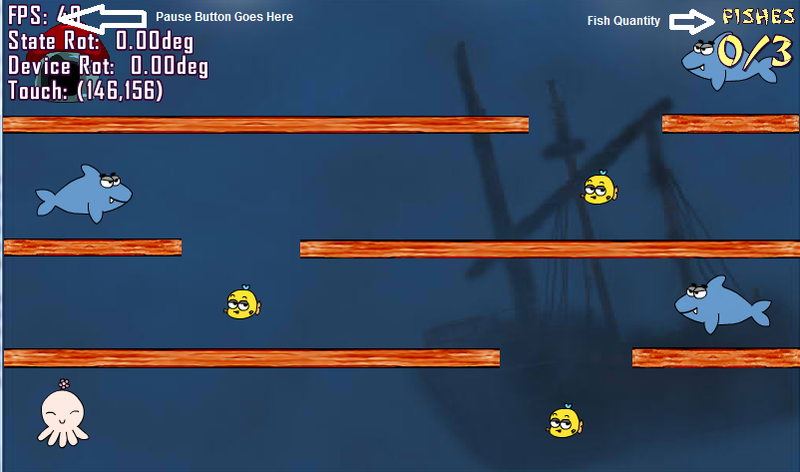 The pause button will be a small square in the top left corner of the screen, and the text displaying the fish quantity information will be in the top right. Resizing may be necessary once we have these in place; we need to make sure that the player can clearly read the text and see the button but make sure that these features don't take up too much screen space. Below is a rough sketch of what the gameplay interface will look like. In the top right corner is the button that will pull out the menu if touched, and in the bottom left corner is the fish information tab. 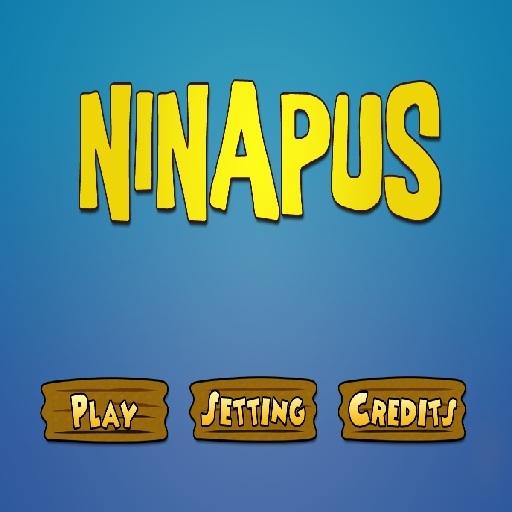 As described in the Game Mechanics page, the player will touch the screen in order to move Nina and rotate the phone in order to interact with the environment. We need to design levels so that this combination of controls feels intuitive. This would include avoiding having players over-rotate the phone, or moving the octopus and rotating the phone simultaneously too much. Several depictions on how the user will interact with the controls.